Eric Franklin’s compact Fascia Massager™ Oval relaxes tight muscles, increases circulation and wakes up the body’s sensory receptors. It’s ideally sized for treating the hands, neck and feet, but can be used to release tension and smooth out connective tissue anywhere on the body. While slowly rolling the Franklin Fascia Massager™ Oval between your hands and forearms, up your neck, holding it between your fingers or squeezing it in your palm, you not only massage the tissue but also create a sensory experience that re-informs your brain of how your body feels and moves, promoting relaxation and natural movement. Latex- and phthalate-free. Measures approximately 4¼" L x 1¾" dia. Sold each. I love this roller! It works wonders on my hands and arms after I’ve been crocheting or gardening. I like how you can massage every inch of your arm (front, back and sides), and you can easily target sore spots in the wrist and elbow using the little nubs. 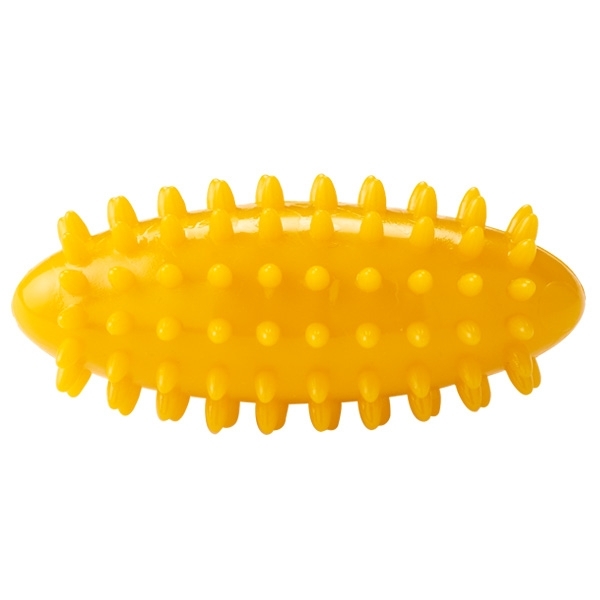 It’s also a great massage tool for the legs and back. Roll it back and forth or press an end into a trigger point to relax a tight muscle. Pure heaven!